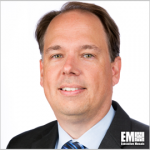 John Landwehr, vice president and public sector chief technology officer at Adobe (Nasdaq: ADBE), has said artificial intelligence-driven applications could help government agencies deliver better citizen experience in three ways and one is through content creation. “When AI is designed and optimized with content creation in mind, powerful advances can be made,” Landwehr wrote. He discussed how the company’s AI and machine learning platform – Adobe Sensei – works to speed up the delivery of digital experiences by understanding the context of videos, images, animations and other digital content. Landwehr noted how AI could enable agencies provide personalized citizen experiences. “AI-fueled applications can identify the different types of citizens being engaged and understand how they interact with agency services. Beyond that, AI can use those insights to serve relevant and personalized experiences in real time and then anticipate what’s needed next,” he said. Agencies can enable their employees to focus on the decision-making process and other important tasks by adopting AI, which works to expedite analysis of large volumes of data to quickly generate insights. Landwehr said there are a few factors agencies should consider when using AI in their workflows and those include the harmony of hardware and software in the cloud and data centers and the compatibility of AI with the agency’s existing workflows and applications. “AI isn’t very useful by itself and shouldn’t stand in the way of workflow. It must be intelligently woven into the workflow as a part of trusted applications,” he added.